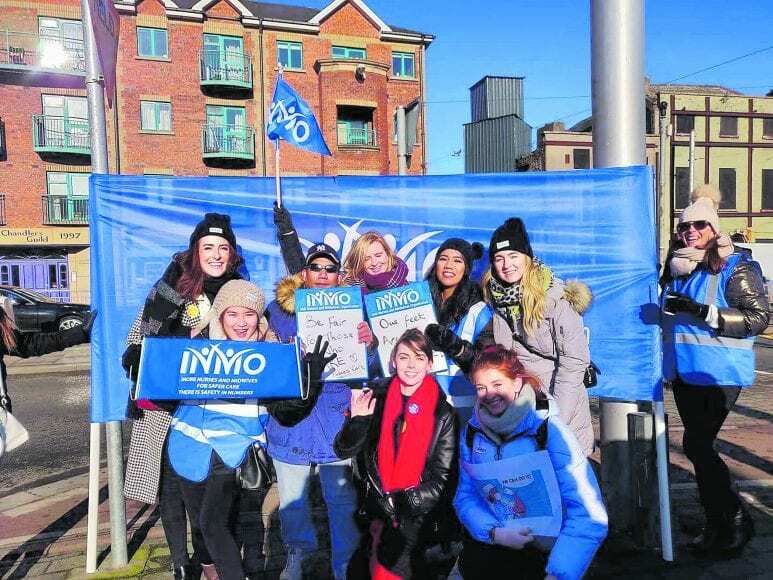 Aimee Rochford, far right, speaks to Dublin Gazette about life as a nurse, and why she is going on strike for better pay. Over 40,000 nurses across the country took to the frontlines earlier this week for the second strike in the battle over pay. 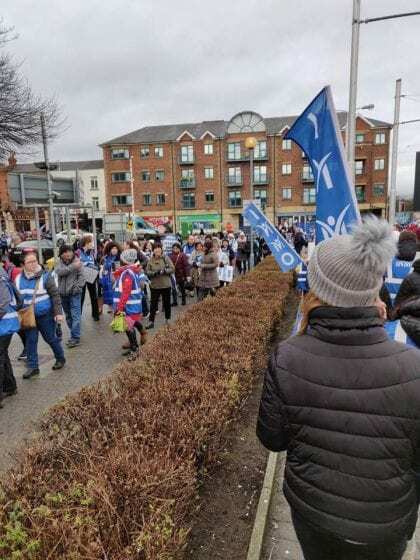 With nurses continuing to strike across the country with no sign of reparation, Dublin Gazette spoke to Aimee Rochford, a nurse working in St James’ Hospital. Aimee, who was on the picket last week and again on Tuesday, spoke to us about the hardship faced by nurses across the country, and why they deserve to have their 12% cut reinstated. She has worked at the city centre hospital for the past four years, and said that because of the conditions and pay in Irish hospitals, if she could go back she would choose to study anything other than nursing. 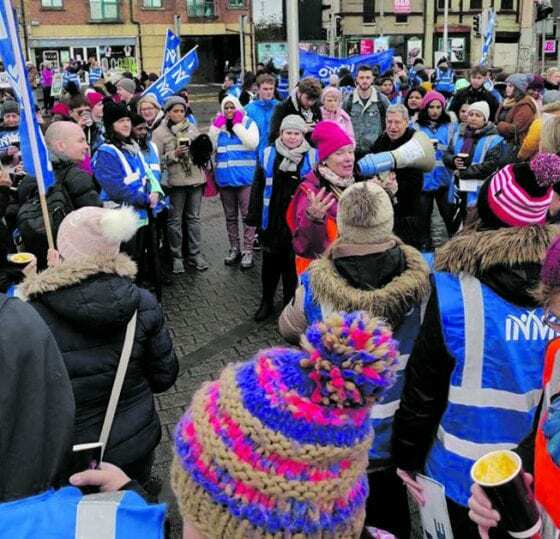 Members of the Irish Nurses & Midwives Organisation are also planning work stoppages for three days the following week, on February 12th, 13th and 14th, the 19th and 21st. “I work for St James’s. There was loads and loads of support [for the strike]. “The shop across the road was giving us free tea and coffee; someone put €50 behind the till for us so we could have free tea and coffee. “Manning’s on Thomas Street came down two or three times with vans full of cakes and sandwiches as well. “There was a patient that came out with us in his wheelchair – his mobility scooter – beeping away with us on the strike! “[The Government] are trying to sanction every nurse that went on strike; they’re trying to take away or freeze our increments now. “Some 10% to 15% of people in my year went on to do something else completely different because of the pay and the conditions for nurses in Ireland. “The conditions are crazy – every day I come home and I want to cry, and I do cry. 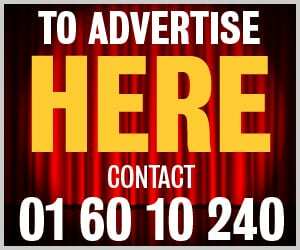 “If anyone asked me for advice, if they were doing their Leaving Cert and were planning on becoming a nurse, I’d tell them not to do it. I wouldn’t recommend it to a single person. We’re treated like absolute slaves. “I start at 7.30am and finish at 8.30pm, but we never finish on time. I could still be there at nine, half nine, and I’ll never get those hours back. “I have two managers, and they’re absolutely lovely and supportive, but they have no power, they can’t change anything. “There are so many people above them that do absolutely nothing to help the nurses. “I think the Government will have to eventually give in. “People aren’t standing for this anymore. People are angry, people are desperate at this stage in this job. “On the day of the strike, there were three people on the ward to administer medication and any life-saving treatment. “People weren’t being washed, beds weren’t being stripped, people weren’t being hoisted unless they needed to go to the bathroom, and a lot of families were told what wouldn’t be done, and that they may have had to come in and help. “I think if the Government are going to keep threatening these sanctions, then there needs to be an all-out strike with absolutely nobody left on the ward. See how things go then – it’ll end up going like that. “The conditions and the pay for nurses in Ireland at the minute is pushing people out of the country, forcing them to leave. “Personally, I couldn’t move away like a lot of others do. However, every young person that has come onto our ward in the past four years that I’ve been working there has gone to Australia. The newly qualified that are working with us now are already saying they’re going to Australia next January. “There would always be people who want to go travelling, who want to work and live abroad, but the conditions and the pay for nurses in Ireland at the minute is pushing people out of the country, forcing them to leave. It’s soul destroying – it’s savage on the ward. “There’s so much expectation and it’s not being met, even if we’re trying our best. We do our absolute best on the ward, and it’s not enough – it’s so unfair, that no matter what we do we can’t physically, mentally do this. Every day I come home, my body is sore, I’m near a breakdown every day.